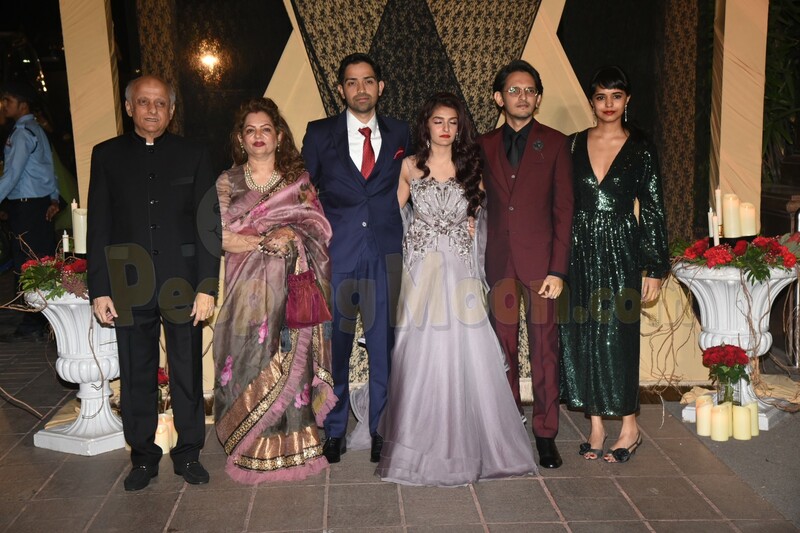 Mukesh Bhatt’s daughter Sakshi Bhatt tied the knot yesterday on January 25, with long-time boyfriend Mazahir. 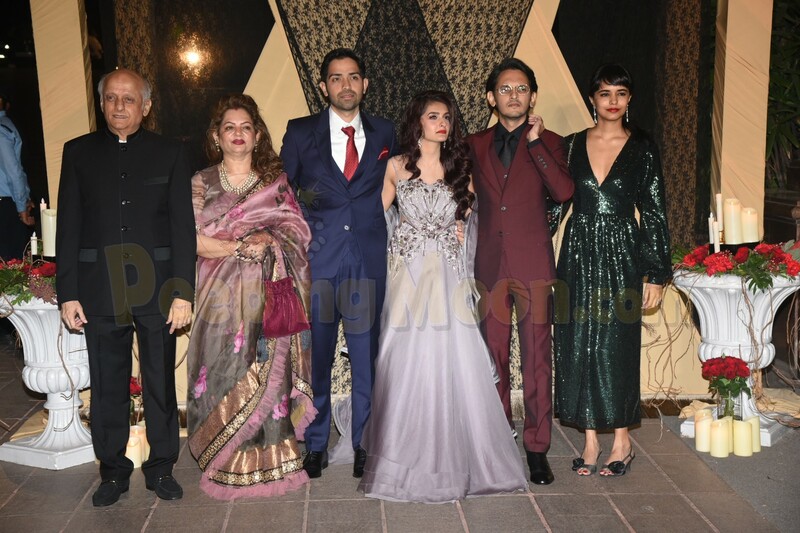 After the private wedding ceremony, the newlyweds hosted a grand reception party that had the who’s who of Bollywood in attendance. 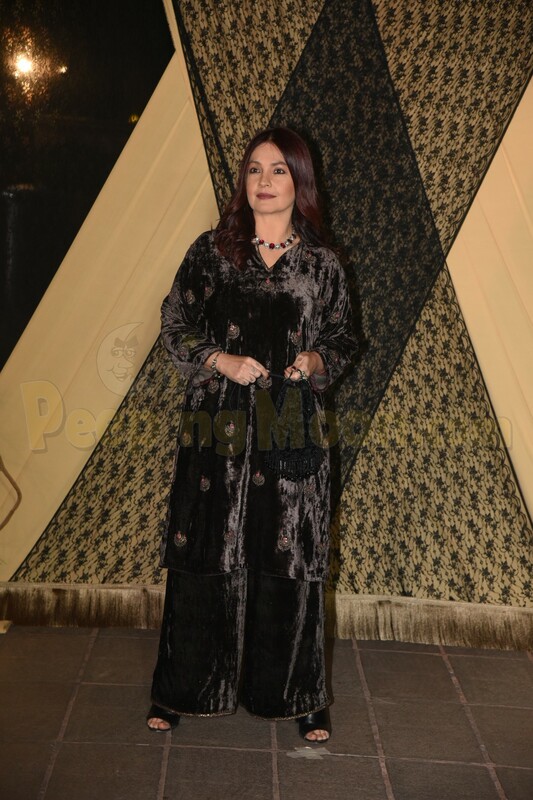 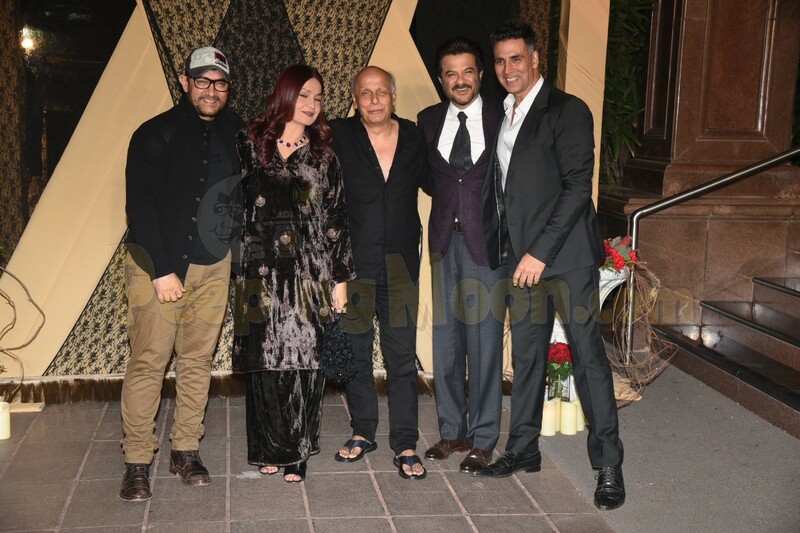 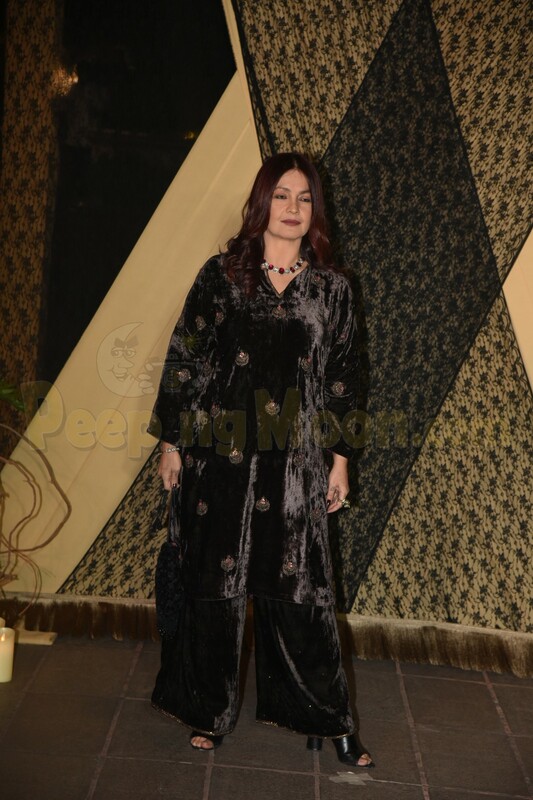 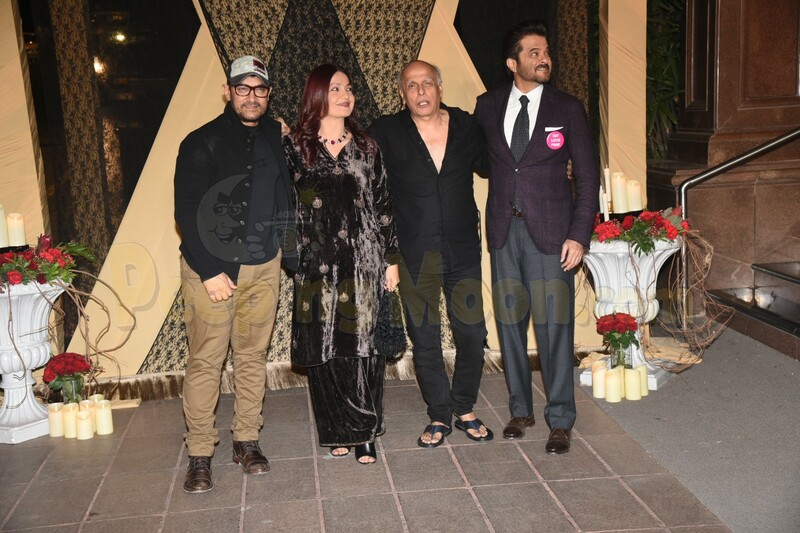 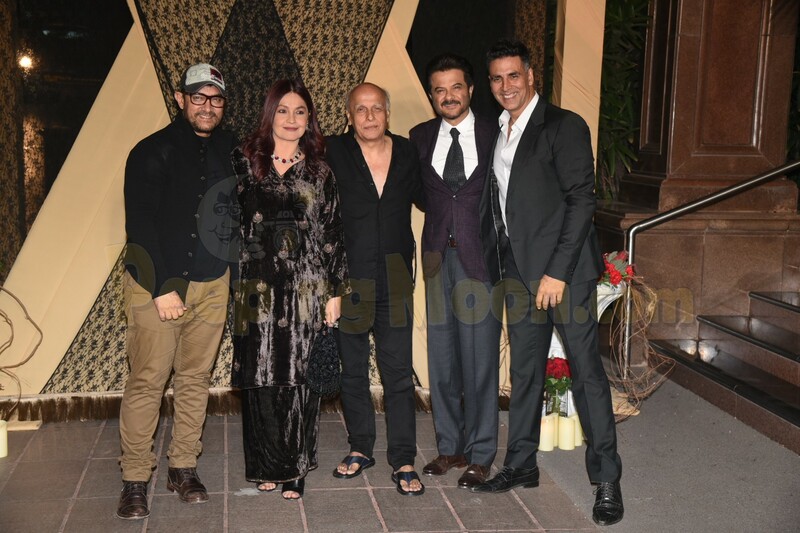 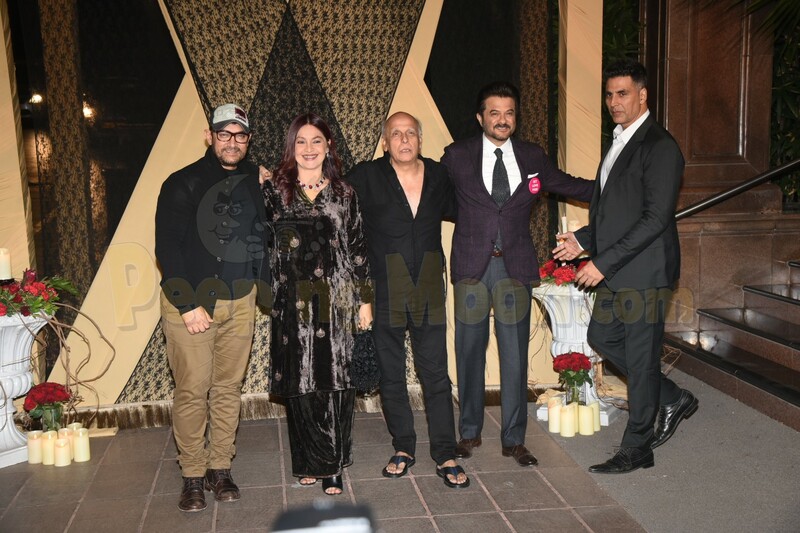 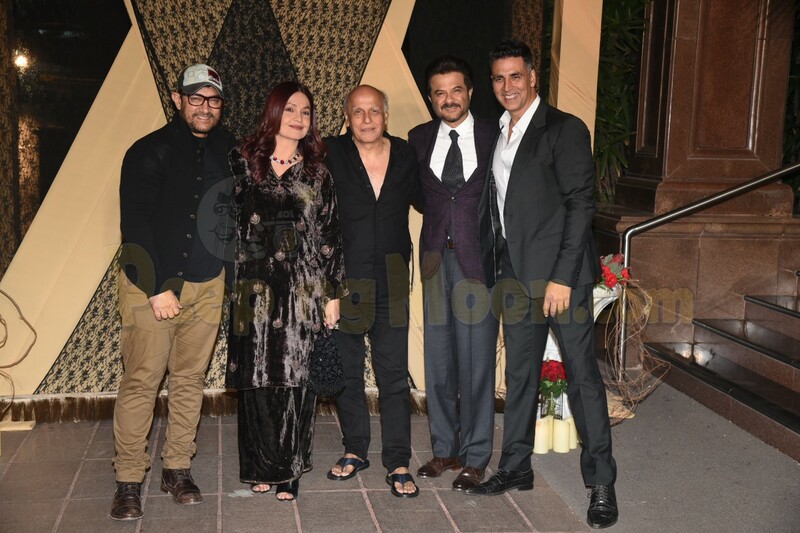 The Bhatt family including Mahesh Bhatt, Alia Bhatt, and Pooja Bhatt were out in full force as the hosts for the evening. 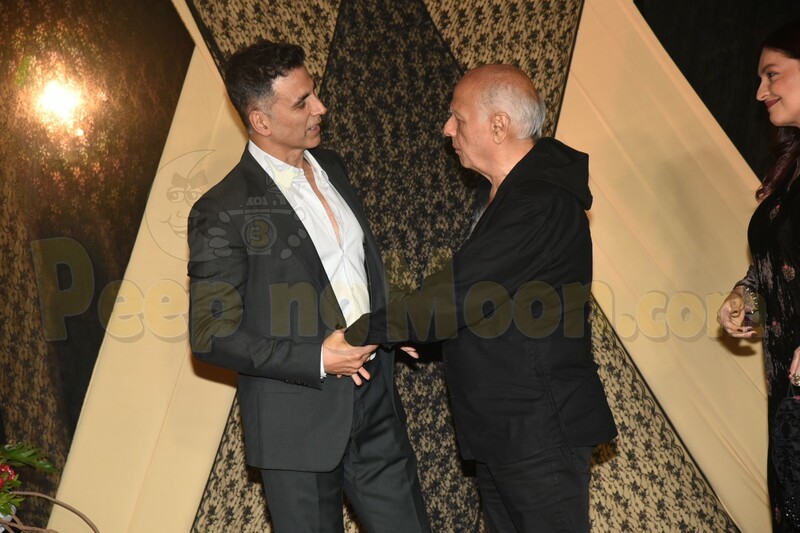 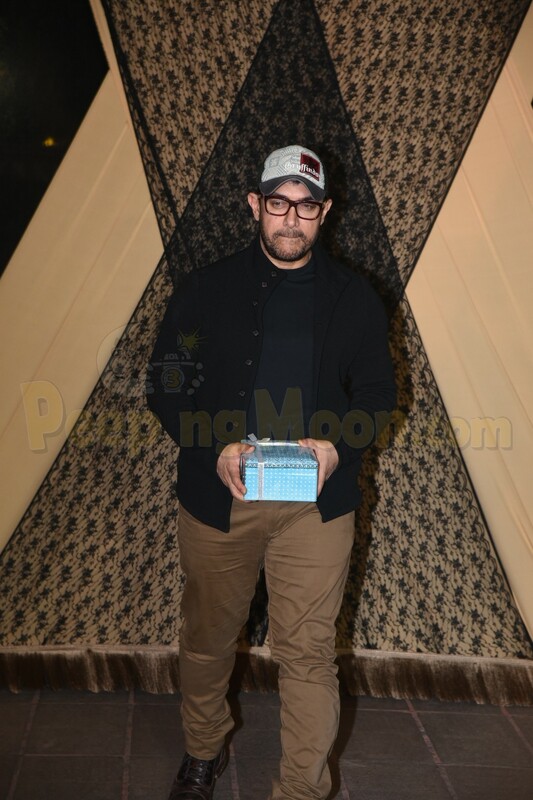 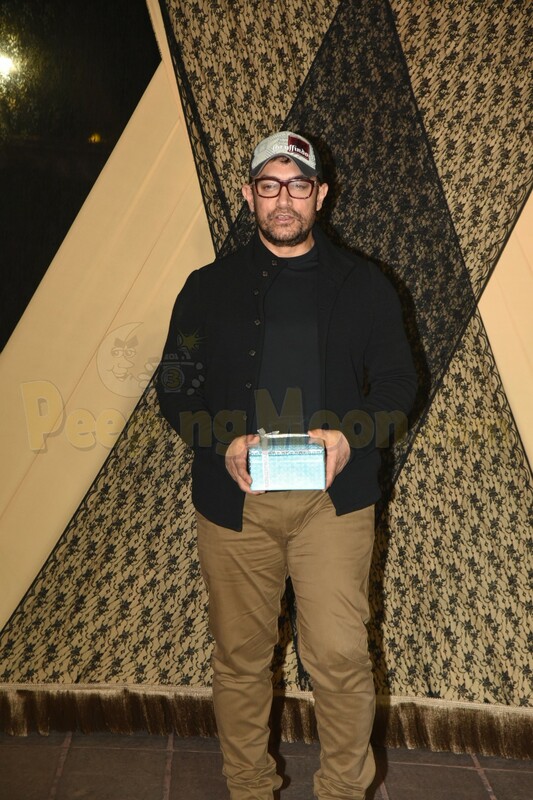 However, the reception was a starry night as superstars descended on the evening and had a gala time catching up with each other. 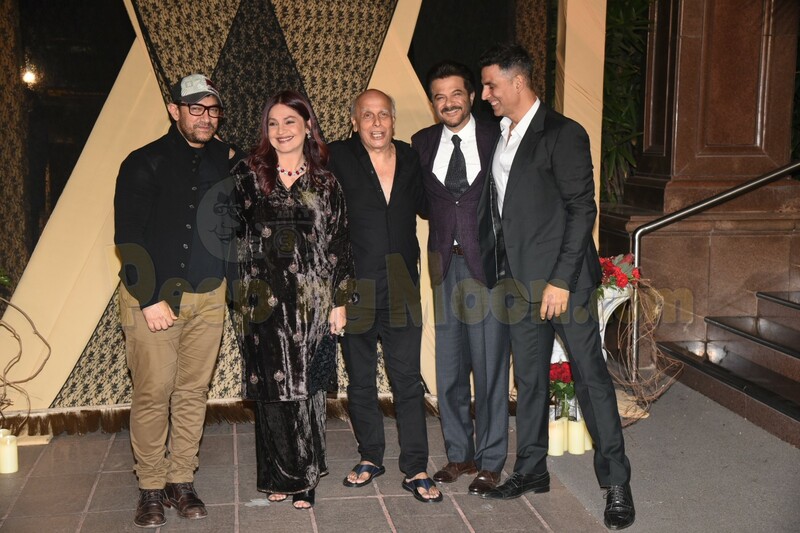 Aamir Khan, Akshay Kumar, Anil Kapoor all posed together happily for the shutterbugs along with Mahesh and Pooja. 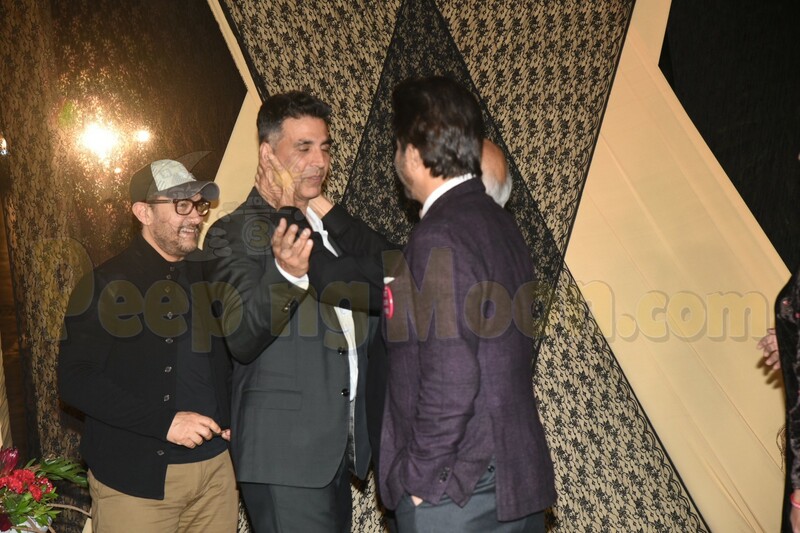 Mahesh even went ahead to give Akshay a peck on the cheek too. 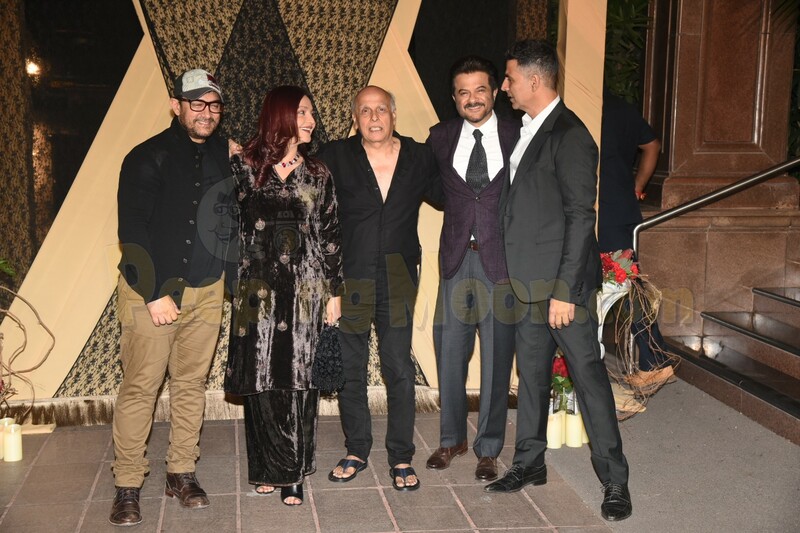 Check out the heartwarming pictures from the reception below.